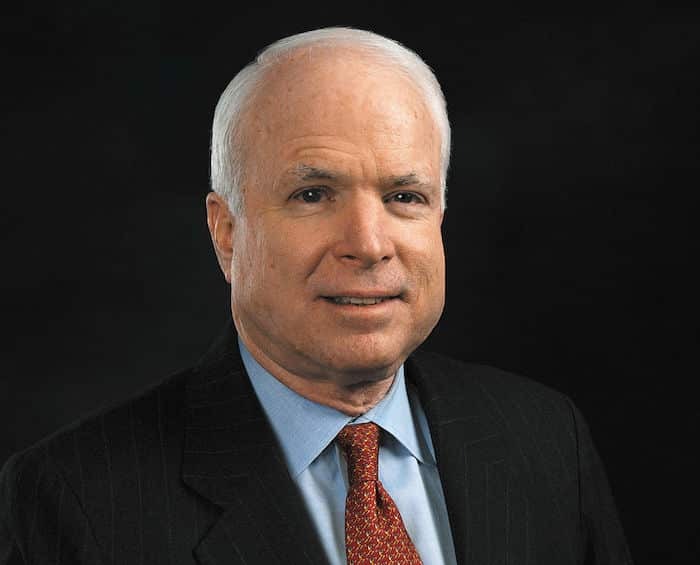 On Saturday afternoon, August 25, Arizona Senator John McCain succumbed to a malignant brain tumor he battled for nearly a year. In his passing, McCain has inspired praise from both sides of the aisle for his decades of statesmanship and service to the United States. First rising to prominence as a prisoner of war, McCain enjoyed modest notoriety in the United States even before he threw his hat into the political arena in the 1980s. As a Senator for Arizona for more than thirty years, McCain became one of the most influential (and universally adored) politicians on the planet. His decisions may have ranged from controversial to celebratory, but they always came from a place of deep introspection and an undying commitment to improving the state of America. Plus, one of his last acts on Earth was to make Donald Trump look like a complete fool, and that’s just funny as f$!k. Even in death, John McCain’s legacy is one that shines a light on the best of us while exposing political hypocrisy at its worst. For proof of that, we only need to pay attention to the drama unfolding in the wake of McCain’s passing and the people stepping forward to express their sincere regret at his death. So, that one piece of half-assed political posturing aside, some of McCain’s contemporaries had some lovely things to say. Elizabeth Warren said she never doubted where McCain’s heart was. Even McCain’s ex-running mate, that dummy from Alaska, found the right words to celebrate the man. Former President George W. Bush also tweeted a beautiful sentiment (isn’t that guy just the best post-office?). Amid the crowd of celebrities who voiced their heartache at the loss of the Senator from Arizona, some astounding voices rose to the fore to shine a light on a man who will be missed. Author and avid Trump-hater Stephen King summed up John McCain’s legacy gorgeously by highlighting a moment from the 2008 election in which McCain shut down one of his supporters for making a racist comment about Obama. All that respect is — to put it mildly — profoundly deserved. Throughout his career, McCain established himself as an unwavering moralist and, to be frank, kind of a badass. Right up until the very end, McCain defied expectation and allowed himself to be guided by his own ethical compass. I mean, just check out how McCain went out. On the Saturday that John McCain was laid to rest, his funeral was attended by dignitaries from around the world. The sitting President of the United States, however, was a no-show. Not because he snubbed the prominent Republican, but because John McCain made it clear that he didn’t want Trump anywhere near his memorial service. So, while political luminaries gathered to mourn the passing of an old-school American, Trump hit the links. Most able-bodied Americans have some inkling that, as a young man, John McCain served time as a prisoner of war. However, there’s more to the story. When he began running missions over Hanoi in 1967, John McCain was a third-generation Naval officer whose father and grandfather were both four-star admirals. When McCain was captured, the North Vietnamese considered him a prize prisoner. To gain leverage over the other prisoners and the US Army as a whole, McCain was offered his freedom. In spite of daily torture and abuse, McCain turned them down. Definitely a guy you want to criticize. At his funeral, some of McCain’s staunchest political allies took the stage to eulogize their friend (and foe) and use his example to call for a shift in the American political landscape. In one particularly stirring tribute, Joe Biden called attention not to McCain’s politics, but to his commitment to the fundamental values that unite us. However, it was former President Barack “God, it Hurts to Write ‘Former’ in Front of His Name” Obama who perhaps summed up John McCain’s legacy best when he spoke at the Senator’s memorial service. Yeah, it was probably for the best that Trump wasn’t invited.